Over 80% of people say they prefer to watch a live video than read social media posts, and four in five say they prefer to view a video from a brand than to read a blog, according to a survey from Livestream and New York Magazine. Consumers are naturally drawn to live video because it offers immediate real-time insight in a way that text and image cannot achieve. And companies love it because it gives them a chance to humanize their brand. However, it’s not over once you stop filming. Video content – live or not – is a valuable asset for any brand. That’s why I’ll show you how to repurpose your live content to get more from your efforts. You can stream content on most platforms these days. However, the most common are Facebook, Instagram, and YouTube. Apps such as Periscope, Tango, and BIGO Live also offer livestream options. Most of the tactics I’ll share with you are relevant for whichever streaming site you use. As soon as the live broadcast stops, make sure it’s readily available for replay. 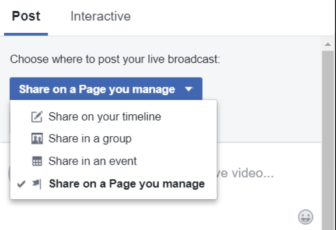 Before you go live on Facebook, you’re asked to choose where your video clip will be posted when you’ve finished. An Instagram Story disappears from your profile within 24 hours. But last year, Instagram introduced Story Archives and Story Highlights, both of which allow your videos to be seen until you take them down. To save to your Story Archive, go to your Story and edit your Story controls. Then check the box to save to archive. Ensure that every Story is saved to the archive by changing your Instagram settings – check “save to archive” in the Story Controls. To save your Story to Highlights, go to your profile page and, under Story Highlights, click the “+”. You can select any archived videos to appear in your new highlight folder. 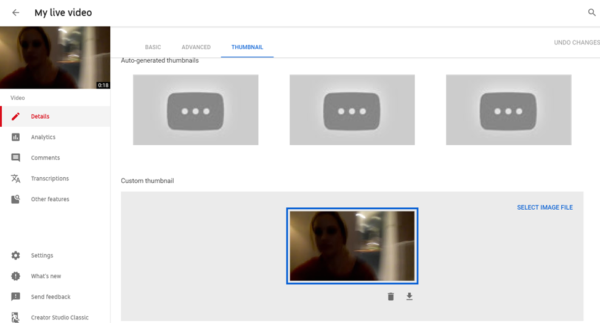 When you finish going live on YouTube, your footage is automatically uploaded to your channel. Facebook, Instagram, and YouTube let you give your video content a title and description. These text-based tools allow you to entice people to watch the video and to make sure the videos can be found through search (don’t forget to include keywords). Include a link to your website where possible. On Instagram, you can’t provide a URL within an individual post, so include a link to your site – or landing page – in your bio. Instagram and Facebook make cross-promotion straightforward. In the settings, choose to automatically share your Facebook Live broadcast on your Instagram account and vice versa. With YouTube, simply click on the “share” icon below your video and select to share on your social profiles. TIP: Make sure videos created elsewhere are uploaded to YouTube. 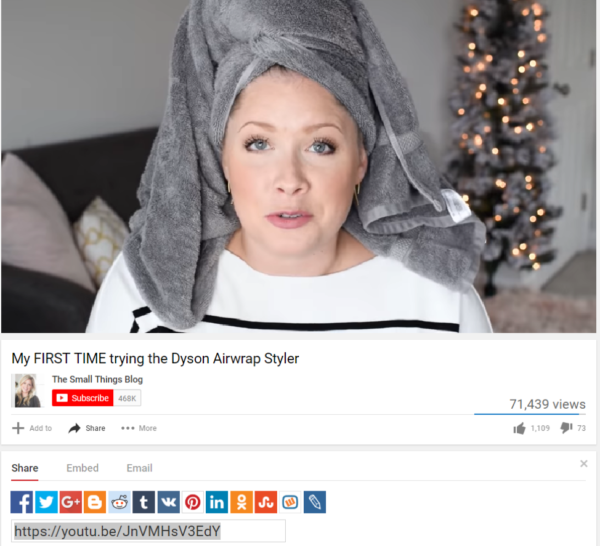 Use an appropriate title, keywords you’d like to rank for (70 characters works best), a description (the longer the better), and tags that will help your video get found. Audiences watch livestreams differently than they consume videos. For a start, they’re more forgiving. They don’t expect perfect quality or perfect presentations. Audiences of non-live videos expect more. They expect a higher-quality video and presentation. They’re also not as invested in spending a long time watching the video. Saving your live video gives you the chance to take more editorial control over the broadcast to make changes and improve the quality. Even if you’re happy with the live video, consider snipping it into shorter sections that are easier to watch online. If you opt to edit the video, use an online video editor such as iMovie (iOS), PowerDirector (Android), or YouTube Editor (online). These offer the basic features for editing video – trimming, splitting, extracting audio, adding transitions, etc. Pay attention to the lighting and play with filters to help the look and feel of the original footage. Some apps will give you the option of theming your piece with graphics or a soundtrack. 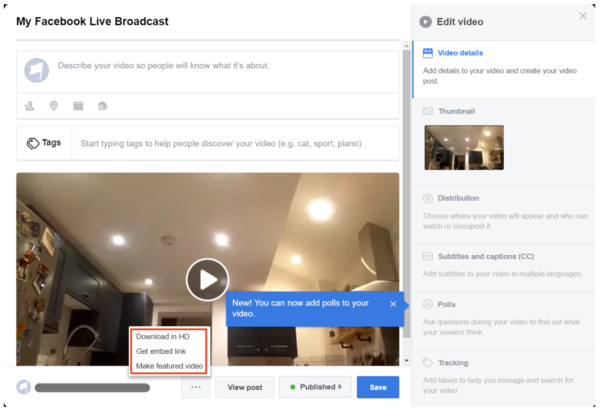 When your live video saves to your social profile, its thumbnail image is automatically selected. You could wind up with an unflattering frame that wouldn’t pull in any interest. However, you can change the thumbnail by choosing a frame from within your footage or by creating a custom thumbnail via software like Canva. The image should be high resolution (1280 pixels by 720 pixels). On YouTube, for example, to change the thumbnail, go into the video and choose “thumbnail” on the top tabs. Then choose to upload an image file from your computer. Blog posts incorporating video attract three times as many inbound links as those without video. Your live content is great fodder for a blog article, especially when combined with the questions and comments that came through while you were rolling. You could choose to feature the entire video or chop it into segments and serialize it. Likewise, the text content of your article might be a transcription of the video or you could simply write about the topic addressed in the video and embed it. Once your video is saved to your profile, you can access the embed link. On Facebook, it’s in your video edit window. YouTube provides an embed link in the video editing settings. On Instagram, choose to save your clip to your camera roll, which you can then upload to your blog post. Video makes for great email content. While security controls mean it’s typically not possible to embed a video in an email, you can insert your thumbnail and link to the video on YouTube. TIP: Make sure your video fits in with the context of your email campaign and think about your call to action. What do you want people to do as a result of seeing your video? Collect all the comments posted on your feed during your livestream. They’re like gold dust for your content. They give insight into your customers’ needs and goals in real time. Use these to create helpful, concise answers, with links to further information where necessary. 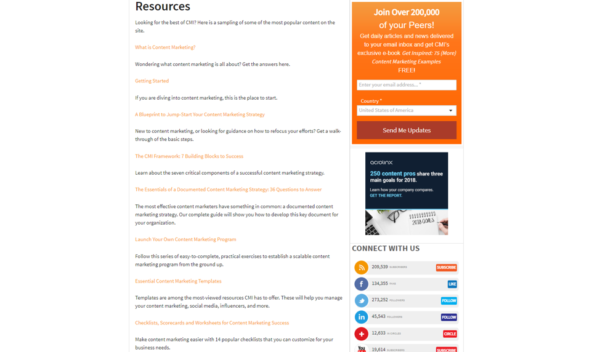 Gather these together to inform your future blog topics or for a FAQ section on your site. Connect the FAQ, which also is attractive to search engines, where it would be most helpful to your customers. For example, link to it on relevant product pages. Turning your video into an audio file is an easy way to gain more exposure and deliver your content to your audience on another platform. Most movie editors – certainly iMovie and YouTube Editor – let you extract the audio file from your video. Next, turn the audio into a podcast and upload it to SoundCloud. You can submit it to iTunes using the SoundCloud RSS feed. TIP: Review the audio version to make sure there aren’t any long silent sections. Now that you repurposed your video content in multiple ways, bring together the streams and showcase them on your site. Dedicate one landing page to your various media, from videos and podcasts to social media channels. Invite your audience to subscribe to your channels and sign up for your email newsletter. Going live on video is a surefire way of increasing your brand awareness and customer engagement. But its benefits don’t stop there. 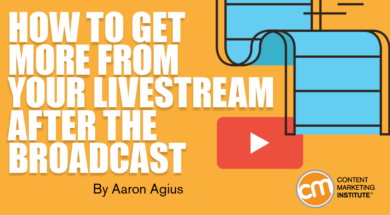 Repurpose the livestream into an archived video hosted on your social channel or edit it to create a series. Podcasts can reach a new audience, while articles informed by the livestream comments can help your content rank in search and answer your customers’ inquiries. Whatever you choose to do with your video content, make sure you test your campaigns’ engagement, traffic, and conversions. While it’s not possible to compare like-for-like, running some numbers might help you decide which tactics are worth persevering with and which to put aside. Get the latest insight and the most helpful advice on how to leverage technology to improve your content marketing programs. Register today for ContentTECH Summit April 8-10 in San Diego. Use code BLOG100 to save $100. Aaron Agius is an experienced search, content and social marketer. He has worked with some of the world’s largest and most recognized brands to build their online presence. See more from Aaron at Louder Online.